Please 'click ' photo above to view full detail in Super Size!! History Armour is professionally produced with the professional impersonator / tribute artist in mind! Insist on the best! 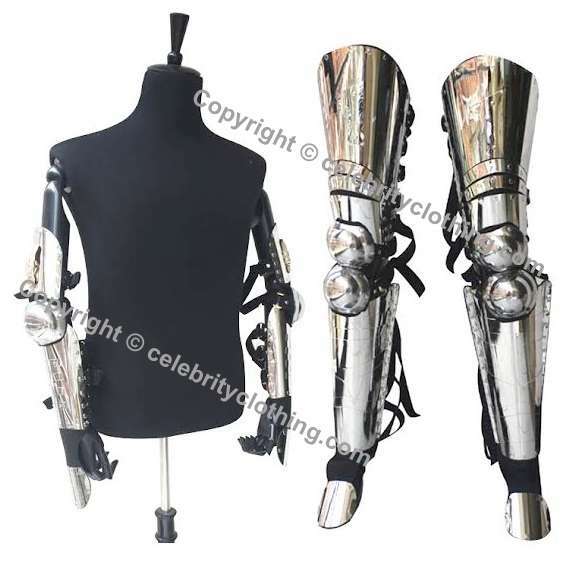 This package includes the leg and arm armour only, the gold history suit is not included, please see our full costumes section for this special package, if required we also sell just the leg armour too..
Production time is fast at just 10 -16 days, as soon as your purchase is finished we ship your parcel FAST guaranteed and fully insured.